Chezi is a husband and a father. He has a regular day job, he goes out every morning and returns every evening. He is a regular man, living in the beautiful settlement of Shadmot Mechola, deep in the Jordan Valley. 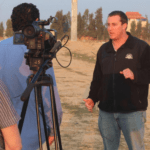 In addition to his day job, he is also trained in security, a former IDF soldier, a firefighter and first responder, and a search and rescue IDF reserve officer. packed up his gear, took a family photo, and kissed his wife and kids goodbye. The next day he boarded a plane to Belo Horizonte. 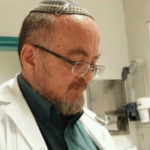 Chezi Eyal bringing Israeli support to Brazil. Chezi’s special unit is part of the Pikud HaOref – the Israeli Home Front Command. They are specially trained to deal with search and rescue – both living and dead – in natural disasters. Until now, he had dealt with several missions within Israel, but he had not personally been on a mission abroad. On November 27, 2018, Chezi’s unit completed a long training and testing for the UN’s International Search and Rescue Advisory Group (INSARAG). After tons of study, physical training, tests in 160 categories, and a 36-hour practical exam, Israel was accepted to the UN’s elite INSARAG, ranking within the top 10 countries in the world. 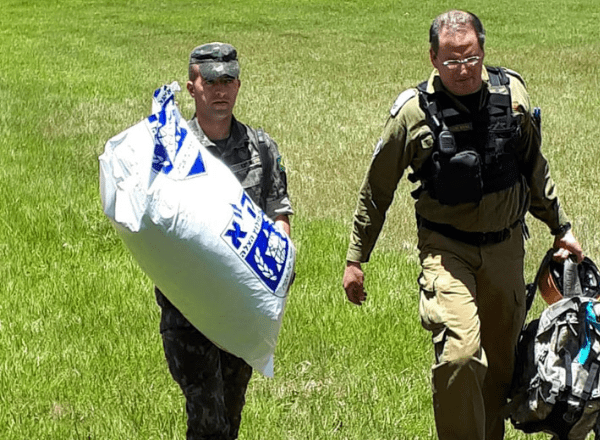 Although Israel is a tiny country, especially compared to Brazil, being INSARAG certified helped with their confidence on this mission, proof that they are more capable than most to help with this kind of situation. Even with INSARAG membership, Chezi’s unit was not sent to Brazil by the UN. It was Israel’s idea to go and help with this search and rescue mission. “I will also give thee for a light of the nations” (Isaiah 49:6). The Jewish people have a duty to be an example for the Nations and spread light in this world. Brazil did not ask for help – they did not even know what kind of help to ask for. But Israel offered, and Brazil accepted. Upon reaching Brazil, they had to figure out the parameters of the mission. It was clear from the get-go that they were searching for bodies in order to bring peace to their loved ones and allow them to lay them to rest. The team needed to gain a better understanding of the area. 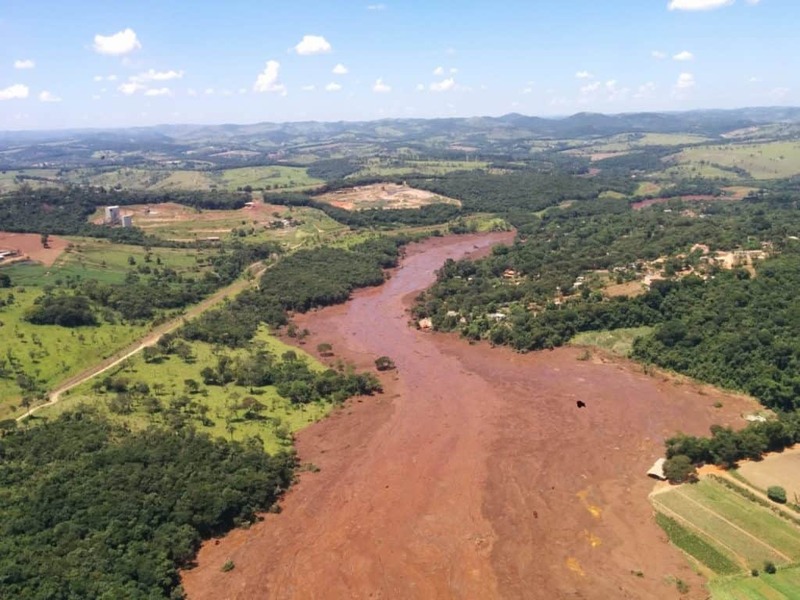 The entire village was covered in mud, and Brazil had already begun to clean up and had saved most of the survivors. The Israeli team mapped out the town and figured out where the highest populated areas would be in order to find the most bodies. The following morning, they got up with their dogs and set out to work. They found busses, tractors, trucks, all completely immersed in mud. This is their training – search for people. If they are alive, help them, if they are not, then they bring them home to their families. The mission was both physically and emotionally exhausting, and he saw many soldiers break down. They had psychologists on hand to make sure that everyone was coping with the emotional trauma of the mission. Young soldiers, experienced officers, doctors, and medics all struggled with this difficult assignment. Chezi felt that he was so busy during the mission – actually participating in the search and rescue, as well as caring for his soldiers’ emotional and physical well-being, he did not have time to let it all sink in. Every evening, they had group sessions with a psychologist to process the day and make sure everyone was coping. In the field, they worried about their physical health – make sure they were drinking and not overheating, and back at the base they catered to their emotional health. 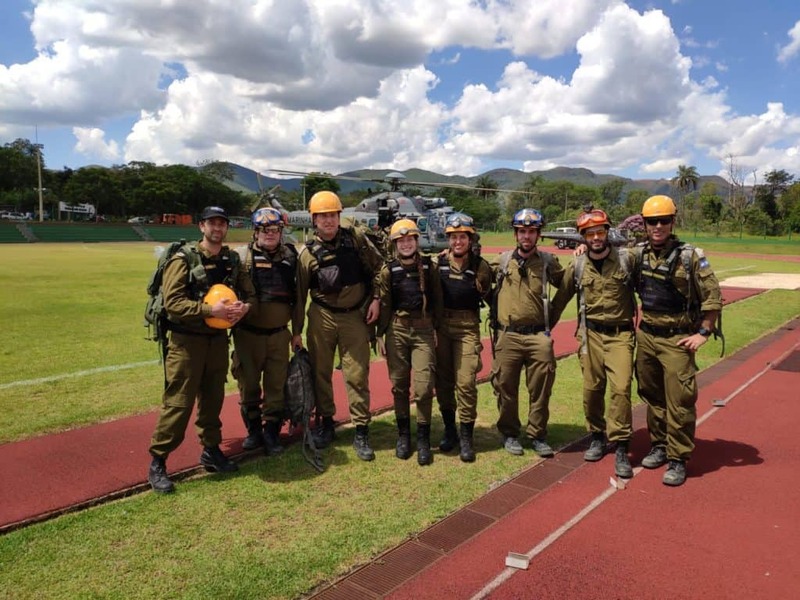 Israel’s Rescue Unit in Brazil. Chezi’s reserve service was not always in search and rescue. Nine years ago, he met the commander of the unit at a lecture. After the lecture, the commander took his number and invited him to join the unit. He has been with them ever since, and now he is a commander as well. Chezi feels that this unit is extremely special – not only for the meaningful work they do out in the field but the way they treat one another at home. When he got the call to pack up and head to Brazil, other members of the Home Front Command called his wife to make sure she was OK. They asked how she and the kids were coping, if they had meals organized and if everything was taken care of while Chezi was away. They were not only concerned about Chezi, but they were worried about his family as well. 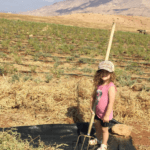 Chezi lives in a region known as the Jordan Valley, in a settlement called Shadmot Mechola with his wife Chavi and their four children. It is a region with a low population (both Jewish and Arab) and the Arab population is beginning to recognize the value of this land and move in. There is a large Jordanian population in the region, but not many Jews. A Jewish presence in this region is essential in order to keep it under Israeli jurisdiction. 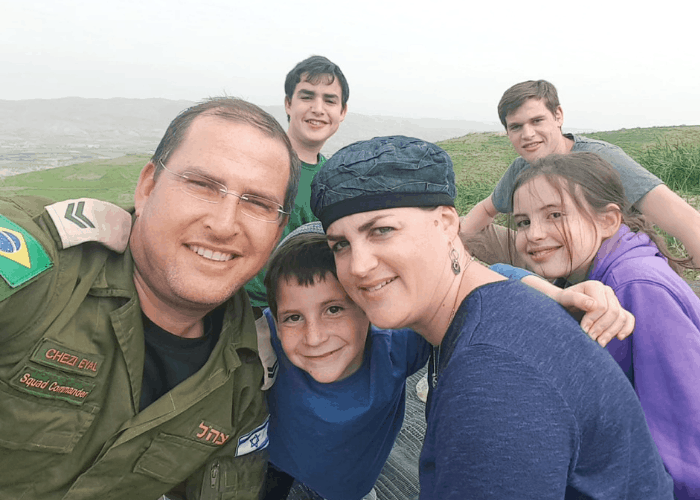 Chezi and his family are pioneers, settling the Holy Land, Israel’s Biblical Heartland, and making sure that it stays in the hands of the Jewish People, maintaining the millennia-old chain. 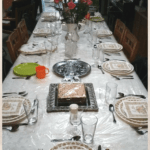 Chezi remembers seeing kids in a Jewish school in São Paulo. Watch this short clip of the IDF’s Rescue Unit that is always ready to go help any country- anytime, anywhere. 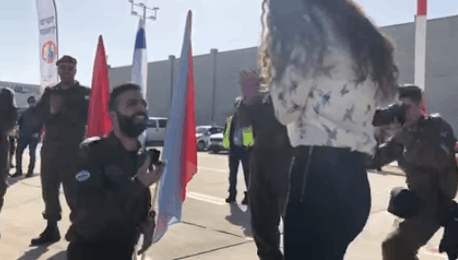 On their return to Israel, Chezi, with his entire unit, noticed one of the paramedics, Matan Dahan, surprise his girlfriend at the airport with a proposal. After seeing such tragedy in their line of work, it really makes you think about what is truly important in life. Matan bought the ring in Brazil and decided to use the momentum of this big event to ask Danielle to marry him. We wish this special couple a lifetime of happiness together. Matan Dahan proposing to Danielle upon returning to the Israeli airport with his Rescue Team from Brazil.